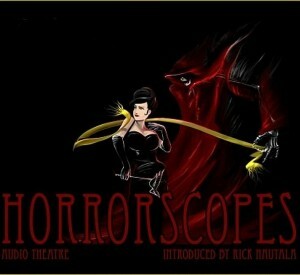 The recently revamped HORRORSCOPES collection is a series of ten of horror’s darkest little tales, ranging from classics by Poe and Bradbury to originals by Anthony Marino and Clay Graybeal. In today’s episode, we feature the inspired adaptation of HP Lovecraft’s The Statement of Randolph Carter, wherein an unsuspecting grave robber opens a door that really should have stayed closed. I love this audio drama. This along with “God of the Razor” are my favorites. I’m going to re-listen to this one again soon.